71% Polyester, 18% Polyacryclic, 11% Viscose. Martindale Rub Count: 40,000. 100% Polyester. Martindale Rub Count: 50,000. 88% Polyester, 12% Viscose. Martindale Rub Count: 100,000. 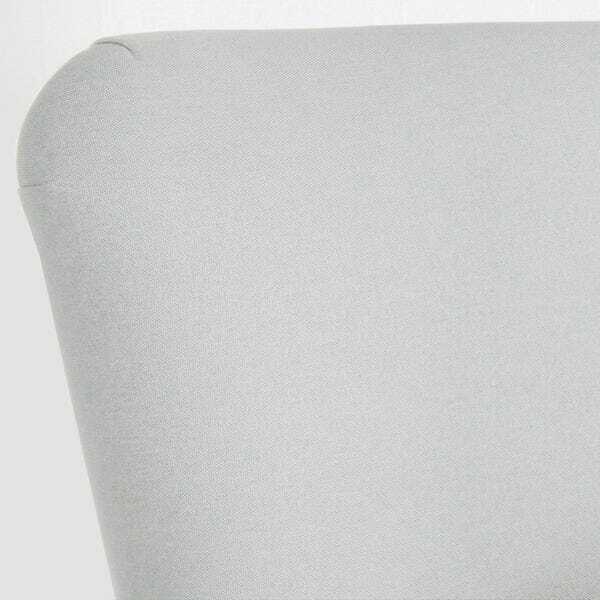 A versatile blended fabric with a gentle lustre and soft, supple handle, perfectly durable for upholstery. 43% Linen, 9% Polyester, 29% Cotton, 19% Viscose. Martindale Rub Count: 40,000. 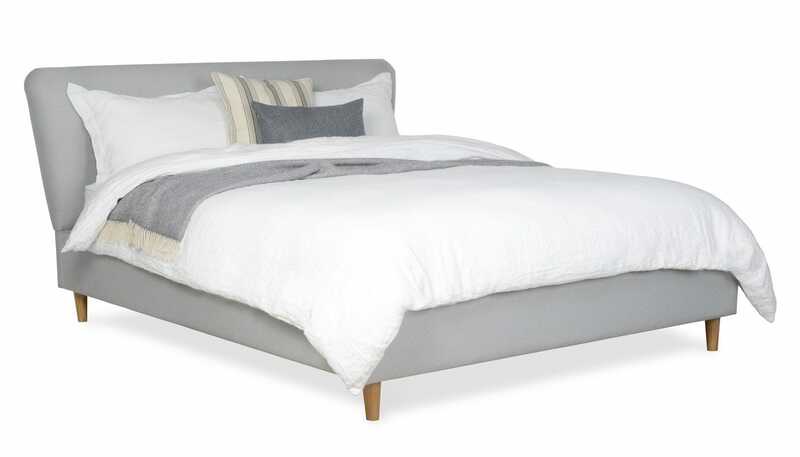 Capturing the look and feel of Mid-century American modernism, the voluminous Bardot Bed is lavishly upholstered for an elegant night’s sleep. 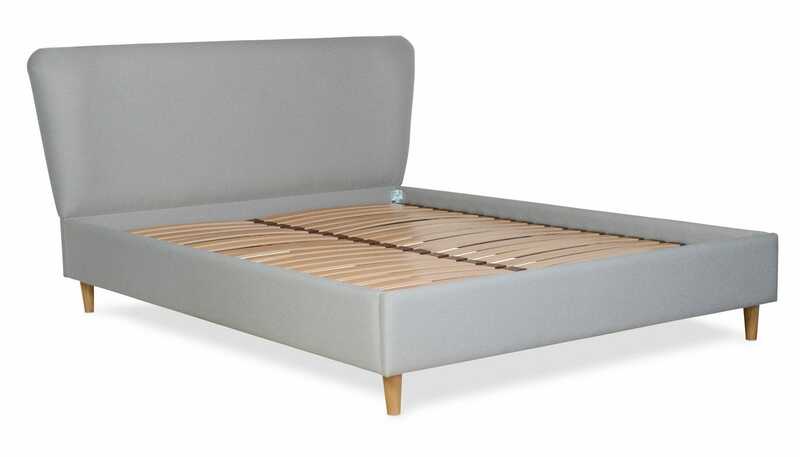 Fully upholstered hard wearing turtledove fabric over an FSC certified timber shell, it's smooth curves give this contemporary slatted bed all the glamour and allure of its namesake. 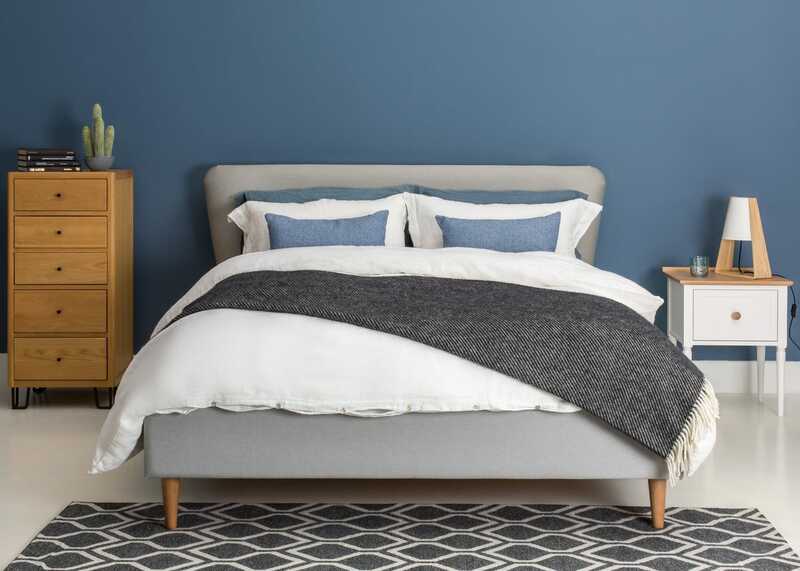 Giving the look of a low-seated bed by elevating the mattress on round tapered feet, it is easy to recline into at night and rise in the morning. 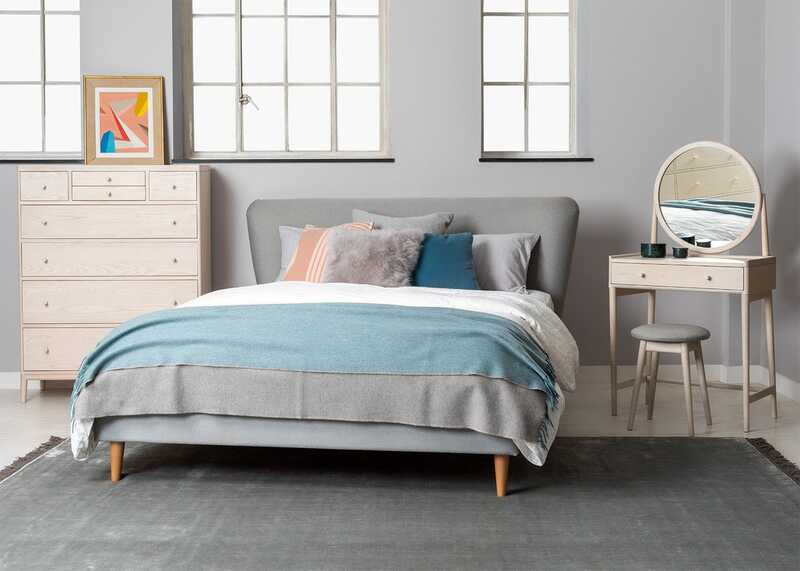 Two columns of closely spaced traditional beech slats make the Bardot an ideal match for a range of mattresses while a central supporting bar ensures the bed provides a comfortable sleep. 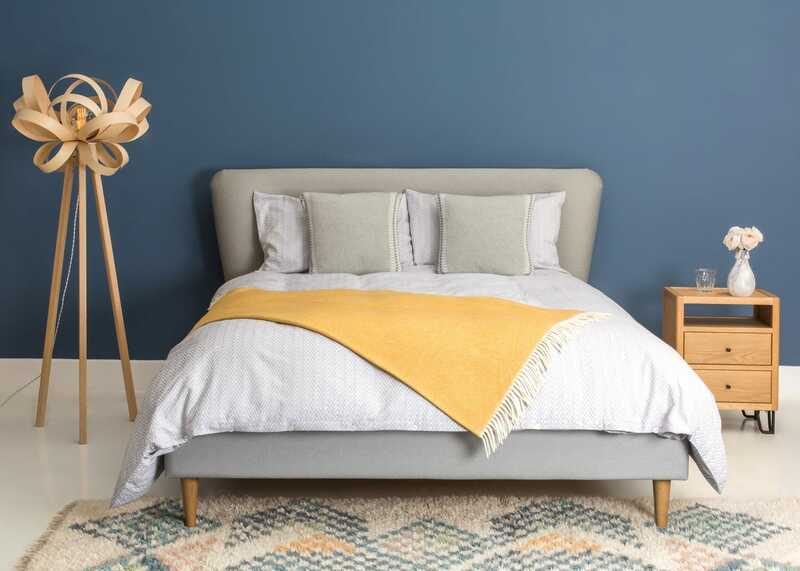 Designed by Heal’s and handmade in Sussex. 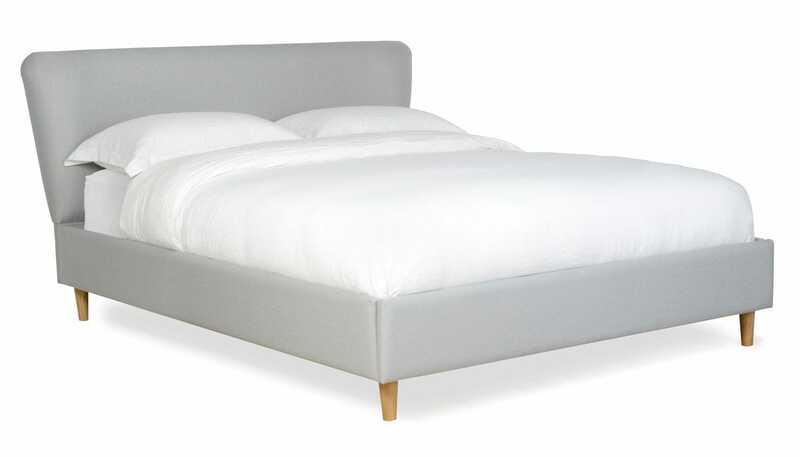 FSC certified timber shell fully upholstered in hard wearing turtledove fabric in a curved and comfortable headboard. 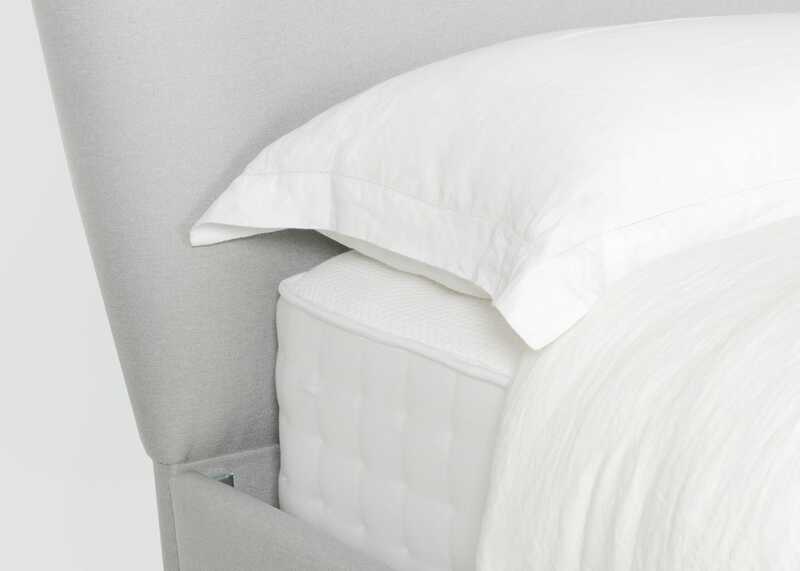 Now available in double, king and super king sizes, making the Bardot suitable for all room sizes. 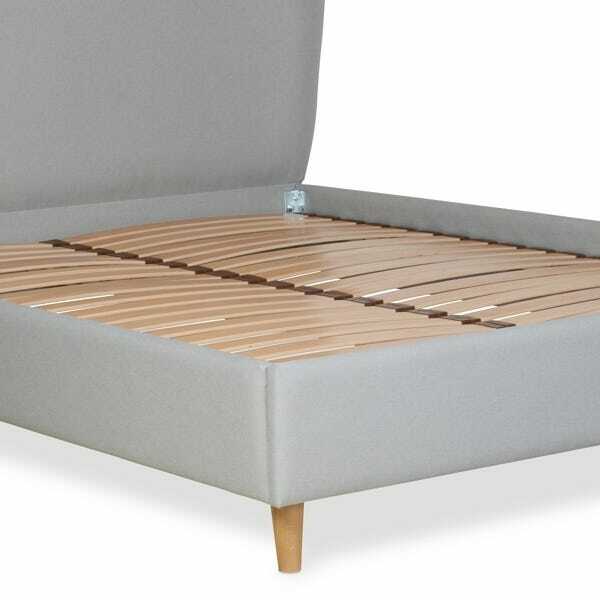 Two columns of closely spaced traditional beech sprung slats make the perfect base for your mattress. 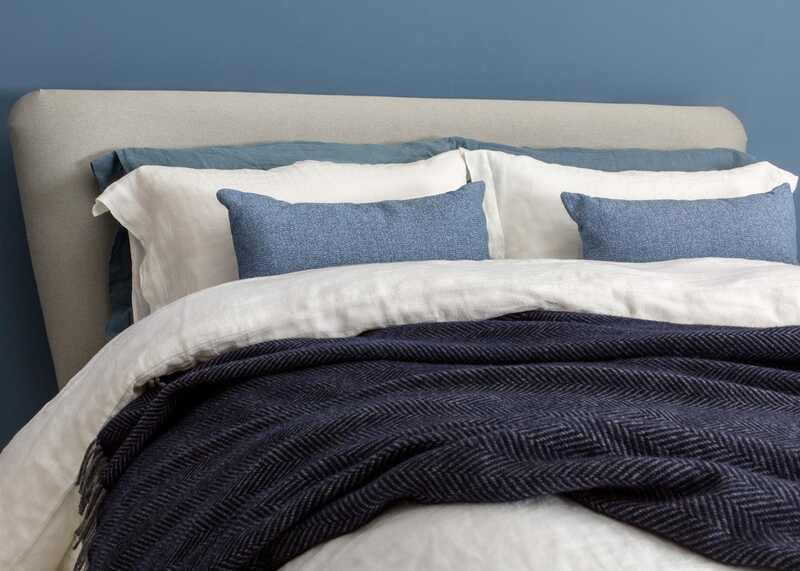 Mid-Century rounded headboard in a variety of fabric options. 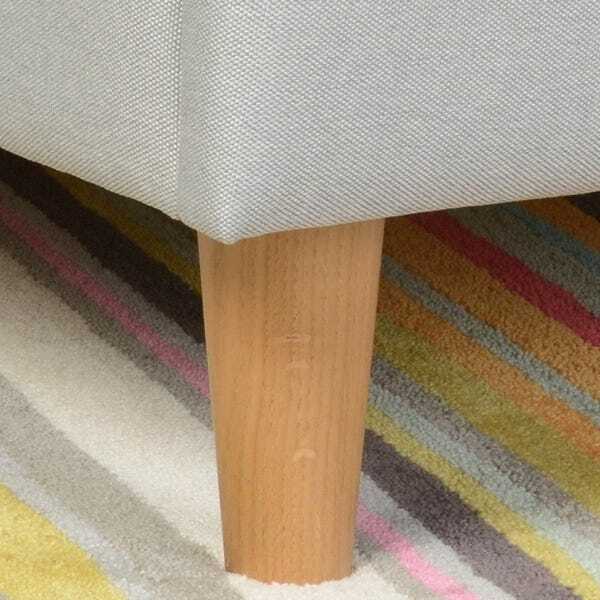 Tapered, solid beech feet gently lift the large frame from the ground. Two columns of closely spaced traditional beech slats & central supporting bar ensures a comfortable sleep. Solid Beech and Beech Slats. 43% Linen, 9% Polyester, 29% Cotton, 19% Viscose. Martindale Rub Count: 40,000.